I know, not exactly shocking if you know me. So many of my recipes are born of the odd craving, and this one is no different. One afternoon, during a particularly stressful day at the office, I found myself craving a nice, stout beer. 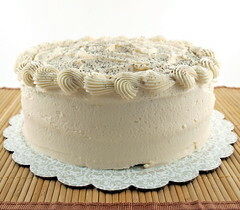 I was also thinking how nice a slice of chocolate cake would be, because nothing takes the edge off a bad day like cake. 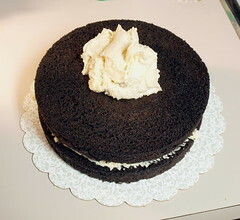 Of course, this led me to think about stout cakes. I love them, in general, but I have never tried to make my own recipe. That was all the encouragement I needed. 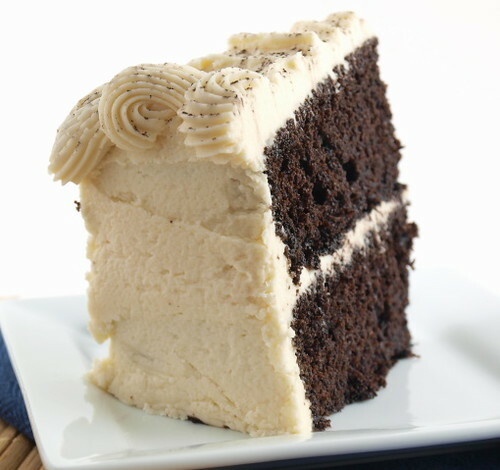 I decided to come up with my own recipe and top it with brown butter frosting. I added orange juice and zest to my cake to brighten it up just a bit. 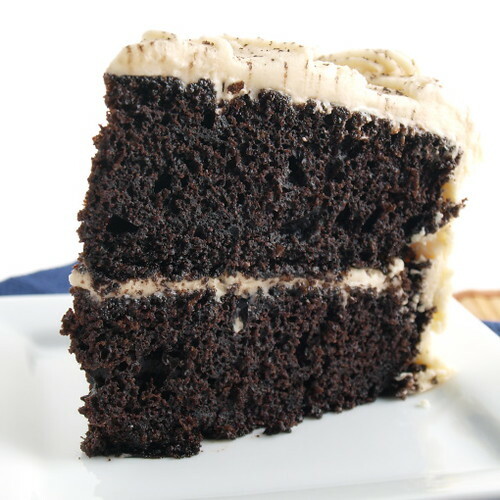 Dark, rich stout beer gives the cake a slightly bitter finish, and paired with the deeply caramel notes from the brown butter frosting I knew a little brightness would go a long way. The orange is by no means overpowering. In fact the orange is fairly subtle until you exhale. That is when you really get the sweet, floral and citrus flavors. 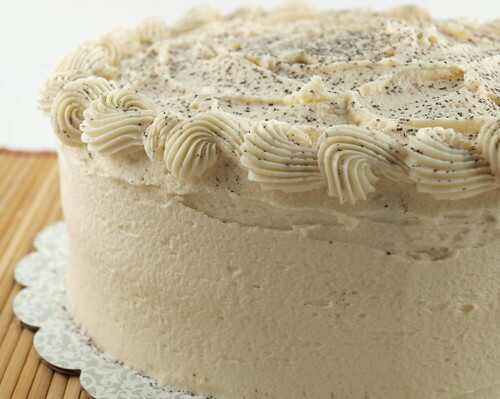 The finished cake is moist, tender, and beautiful in the way only homemade cake can be. Heat the oven to 350 F and spray two 8″ cake pans with non-stick cooking spray. 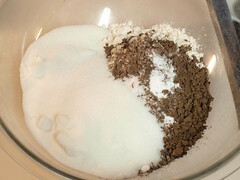 In a large bowl whisk together the flour, cocoa powder, baking soda, baking powder, salt, and sugar. 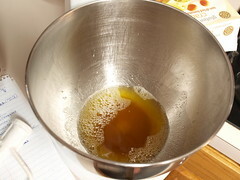 In a medium bowl combine the melted butter, beer, eggs, orange zest, orange juice, and vanilla. 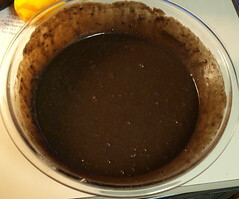 Pour the wet ingredients into the dry and whisk until well combined and no large lumps of flour remain. Do not over-mix. Divide the batter evenly between the prepared pans and bake for 30 to 35 minutes, or until the cake starts to pull away from the sides of the pan and the center springs back when lightly pressed. Let the cakes cool in the pan for ten minutes before turning out on a wire rack to cool completely. In a small pan over medium heat brown the butter until it is nut brown. Be sure to stir the butter constantly. Allow the butter to cool to room temperature. Beat the butter, powdered sugar and vanilla until combined. Add the milk, a little at a time, until you reach your preferred spreading consistency. 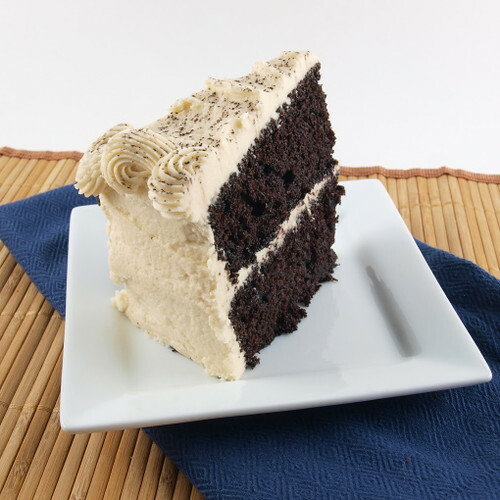 Place one of the cakes on your serving plate, or board. Spread 1/3 of the frosting evenly over the cake. Top with the second cake. Spread 1/2 of the remaining frosting evenly on the top, making sure you go all the way to the edge, then frost the sides with the remaining frosting.